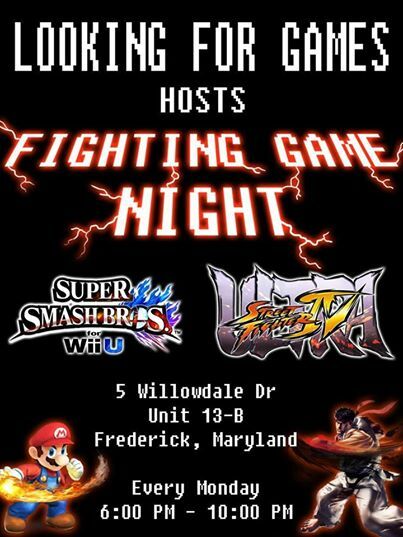 (Mondays) USF4 and Smash Tournament, Frederick, MD: Looking for Games | Community. Reviews. Pwnage. Starting at 6:30 PM we’ll be firing off some more rounds of our Super Street Fighter 4 and Smash 4 tournaments. Pick up a controller and become the Smash King of Street Fighting!